talents, & resources to build a web presence for deserving organizations. Building websites to help further the proclamation of Christ-crucified... now in our 3rd year! There are many faithful confessional Lutheran non-profit organizations working to fulfill God's will in our sinful world. Many do not have the funds to build a strong online presence to further their witness. 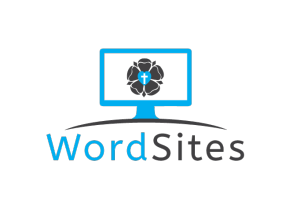 WordSites is a project run by volunteers and sponsors who devote their time, talents, and resources to build a premier web presence for deserving Christ-centered organizations. How much do WordSites' site cost? Free! This point of WordSites is to allow confessional Lutheran organizations to get access to a quality web presence when budgets are not available or not sufficient. The sponsor of WordSites and our volunteers make this possible. Note: There are some longterm costs associated with any website's maintenance. Those aren't included. But the upfront costs, creation, and support are! Ask us questions if you want to discuss. Your schedule seems very fast, how do you get a quality results? Our schedule is fast, by design. Professionally, the founders of WordSites come from the startup/entrepreneurial community in our vocations. We are applying such "new ways" of doing work to this project to allow Lutheran organizations to get their web presence/sites. You may have heard of "agile" or "scrum" work methods; we use versions of those for much of this project. Further, we have a team of awesome volunteers from around the United States who work work with us to allow us to get alot done in a short period. By the time we get to the "Work Weekend" day, we are ready to all put in a full day's work and more or less complete the project within a 24 hours period. 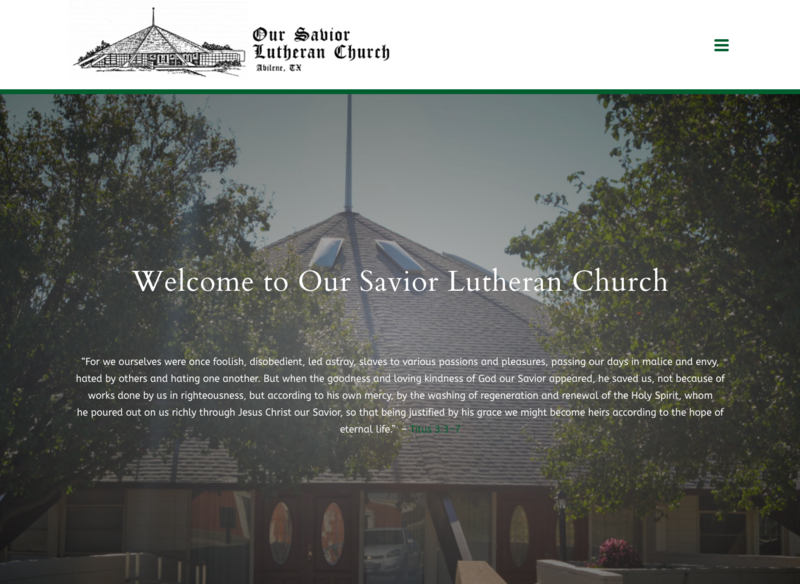 Is my Lutheran organization a good candidate for WordSites? This depends first on what the organization is, believes, teaches, and confesses. WordSites was specifically created to support traditional confessional Lutheran organizations because that is what the founders and subsequent volunteers identify with and believe. We don't have a specific "statement of beliefs" beyond a firm commitment to Book of Concord. Generally speaking, most of those involved with WordSites are members of the Lutheran Church — Missouri Synod, though not all. Secondly, organizations interested in WordSites should be adaptable and ready to "try something new" with regards to their website and online presence. Professionally, the founders and many volunteers of WordSites come from the startup/entrepreneurial community in our vocations. We are applying such "new ways" of doing work to this project to allow Lutheran organizations to get their web presence/sites. You may have heard of "agile" or "scrum" work methods; we use versions of those for much of this project. Therefore, your organization, those applying, and point-of-contact should be open to and ready to try such ways of work. These "new ways" of applying our vocations allow us to do "free" sites and help Lutheran organizations! Am I or my organization required to come to Cedar Rapids, Iowa for the Work Weekend or other meetings? No. You are not required to do so. We have had clients who have done it both ways. Some clients, who are near to our Work Weekend headquarters in Cedar Rapids, Iowa have comes to join us for the weekend. But others have been too far away to do so and we then just did everything remote. We have many volunteers who are the same way, some local to us in Iowa and other who remote work to support this effort. All of this said, we would like clients to consider joining us in Cedar Rapids, Iowa for the Work Day if at all possible. This helps us get more done, faster, and at a higher quality. But again, it is not required. Further, all meeting before and after the Work Day are typically done remotely. Who is the creator, sponsor & manager of WordSites? WordSites was created by the team at McNary Marketing & Design in 2014 after we were contacted by a number of Lutheran organizations who wanted website help. Since the Founder of McNary Marketing, Joshua McNary, and some staff at the company are confessional Lutherans, they decided to start WordSites using their entrepreneurial and business knowledge to help such organizations. In 2017, WordSites remains managed and sponsored by McNary Marketing, but also has dozens of independent volunteers involved. Further, we are always looking for other sponsorship partners, new volunteers, etc. Please feel free to contact us to discuss. Have questions or need help? Please just contact us. Thanks! Camp Io-Dis-E-Ca is located in Solon, IA. 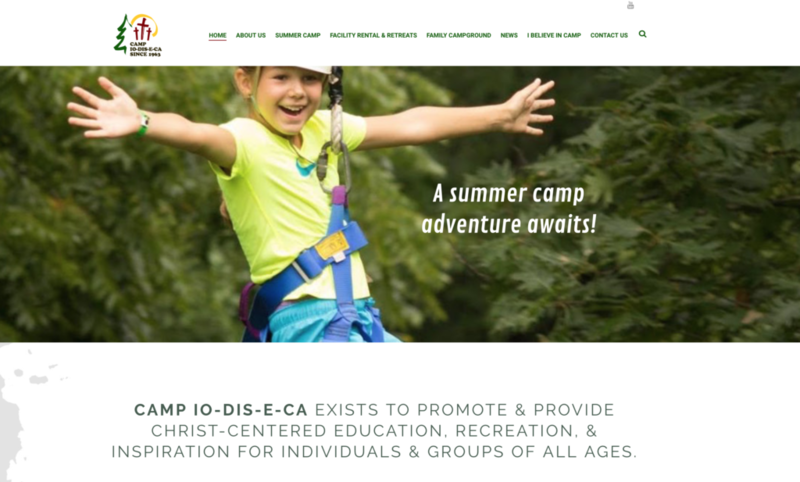 The Camp offers year-round, Christ-centered programs that support the ministries of local congregations, nurture the faith of individuals and families, and motivate people toward congregational involvement, and living in their God-given vocations. They were one of two sites completed by WordSites in 2017. Zion Lutheran Church is located in London, AR. Zion is a community formed by Jesus Christ in Baptism, and gathered by Him around Scripture, Prayer, and the Eucharist. 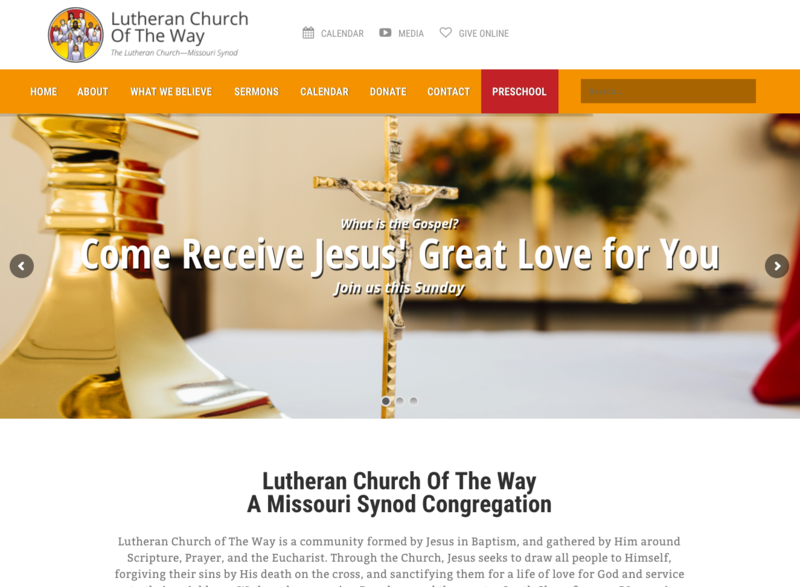 Nestled at the base of the Ozark Mountains in the Arkansas River Valley, the congregation is a member of The Lutheran Church Missouri Synod. They were one of two sites completed by WordSites in 2017. Lutheran Church of The Way is located in Raynham, Massachusetts. They have been serving Raynham and the greater South Shore for over 50 years. They were one of two sites completed by WordSites in 2016. 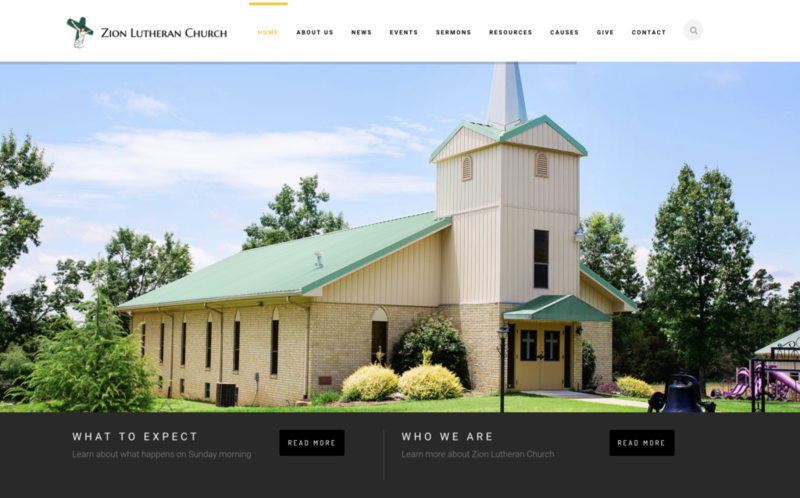 They now have a revamped website for their Church and Preschool. Our Savior Lutheran Church is located in Abilene, Texas. Our Savior is a congregation of The Lutheran Church Missouri Synod. They were one of two sites completed by WordSites in 2016. Their new site included various ministries, information, and events pages. Lutheran Satire is a project of LCMS Pastor Hans Fiene. 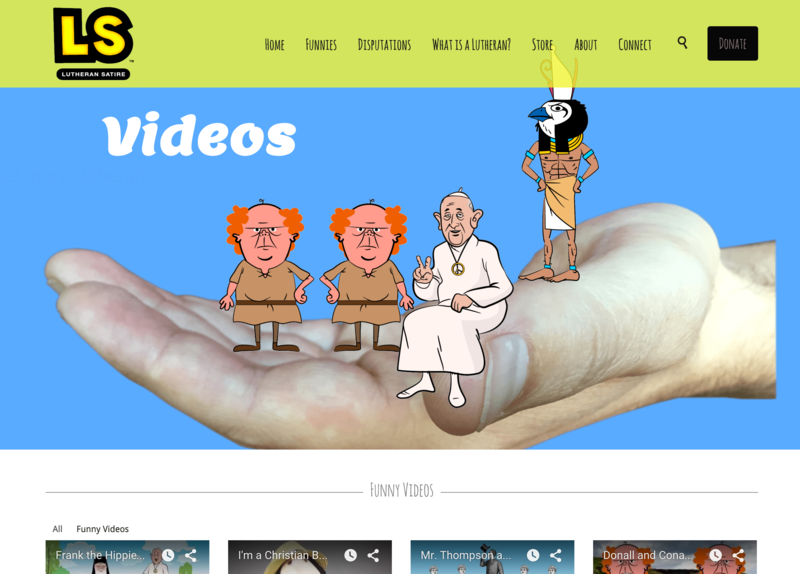 It is intended to teach the faith through silly videos and other things. By holding false doctrine up to ridicule, they reveal the rock solid foundation of the Lutheran confession of faith. have 11,575 followers on Facebook. They have 16,882 subscribers on YouTube. But no website to call home... until now! Even if you are not ready to apply for a website, volunteer, or donate, you can subscribe to the WordSites email list to be informed of updates, deadlines, & more. Thanks! 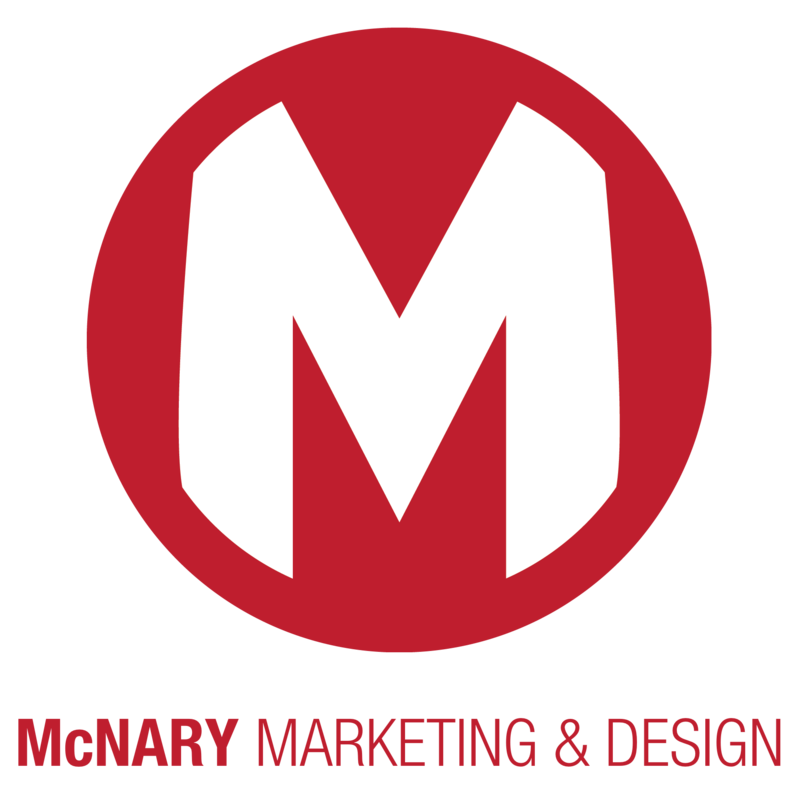 © McNary Marketing & Design LLC. All Rights Reserved.